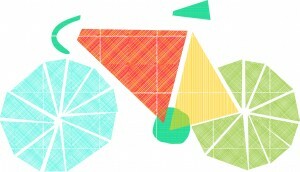 Home » Blog » Build a bike and save 20%! Build a bike and save 20%! We have a lot of great bikes for sale. We have refurbished bikes that are all fixed up and ready to go. We have as-is bikes that need a little love to be road-ready. But that is not all – we have hundreds of bike frames, and thousands of bike parts–both new and used–all waiting for you to put together the bicycle of your dreams. This April, buy a bike frame and we’ll give you 20% off the frame and all used parts! You can put the bike together yourself, or one of our friendly mechanics can do it for you. Our Bikes (and frames) for sale webpage is updated each week, so keep checking in, or stop by the shop to see those shiny frames in person. Our bike shop is open everyday, 10am – 7pm.